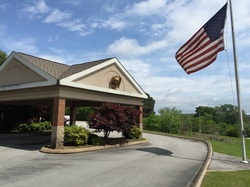 We are located at 1345 Hickory Valley Road, Chattanooga, TN 37421. The office is open weekdays (except Fridays) from 9 am to 4 pm. Chattanooga Scottish Rite partners with the speech and hearing program at Children's Hospital at Erlanger.